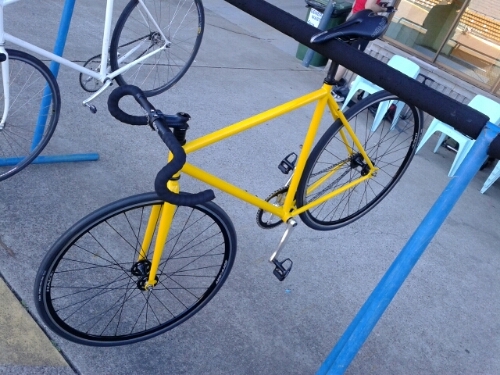 This entry was posted in Bicycles and tagged Bumblebee, Hyde Out Restaurant, Singlespeed on 27 May 2014 by Rex. 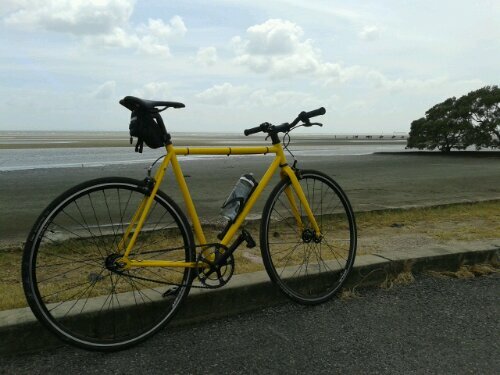 Cell Bikes fixie/singlespeed at Nudgee Beach — a beautiful day for a roll. 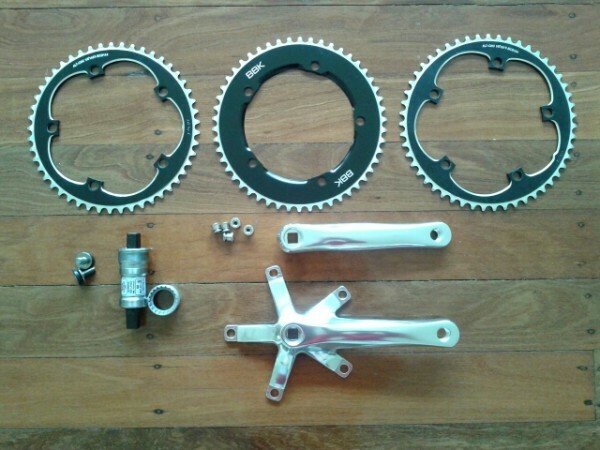 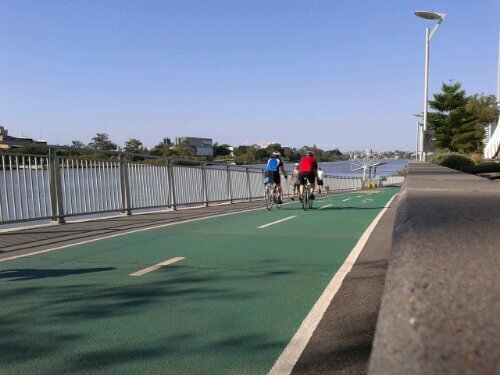 According to Strava, 73.4 km at an average speed of 28.1 km/h. 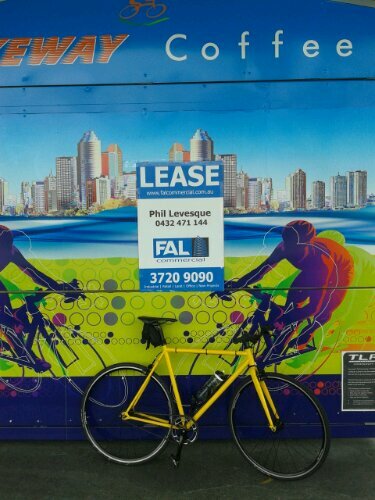 This entry was posted in Bicycles and tagged Bumblebee, Cell Bikes, Fixie, Nudgee, Nudgee Beach, Singlespeed on 15 May 2014 by Rex. 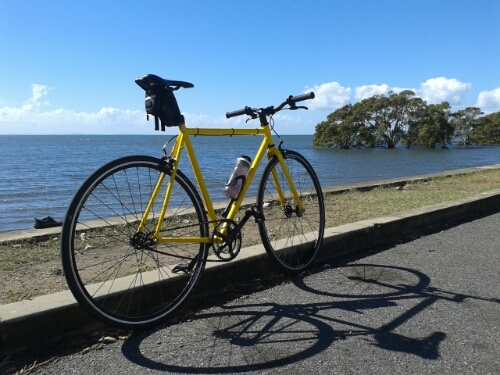 I took a ride out to Nudgee Beach today — a 76 km round trip from Yeronga, including a couple of laps of the Nundah Criterium Circuit — on my Cell Bikes singlespeed. 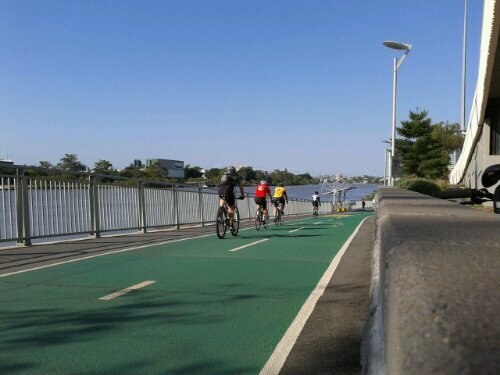 Nudgee Beach seems to be a very popular destination for cyclists, mainly because of the extensive offroad sealed bikeways that can be used to get there. 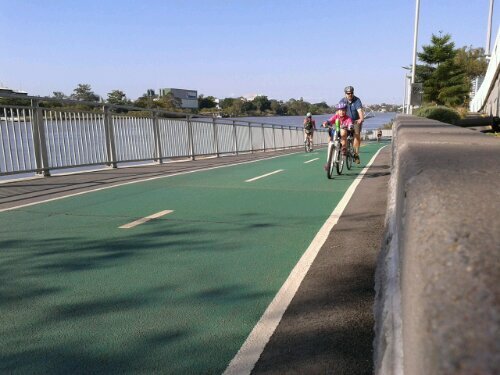 It has taken me three exploratory rides to work out the best way to get from the Brisbane River Loop on to the Kedron-Brook Bikeway, which then links to the Jim Soorley Bikeway and the Moreton Bay Cycleway, before following the Nudgee Road bikeway to Nudgee Beach. 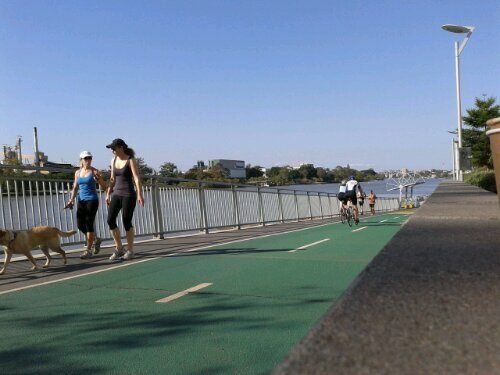 You can explore Brisbane’s bikeways using the cycling layer at Google Maps. 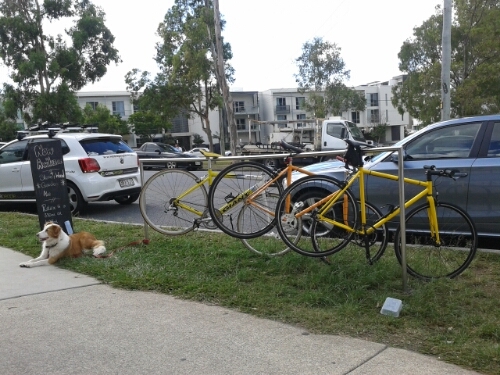 This entry was posted in Bicycles and tagged Bumblebee, Cell Bikes, Fixie, Nudgee Beach, Singlespeed on 8 January 2014 by Rex. 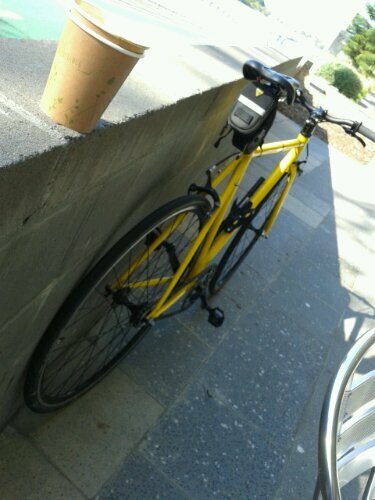 Sitting at Bikeway Coffee Juice Bar enjoying a long black coffee mid-ride, I decided to take a few photos over the brick wall of bicycles on the Bicentennial Bikeway. 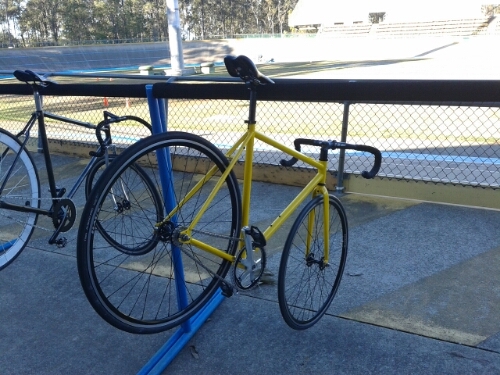 I will try to take some better photos another day. 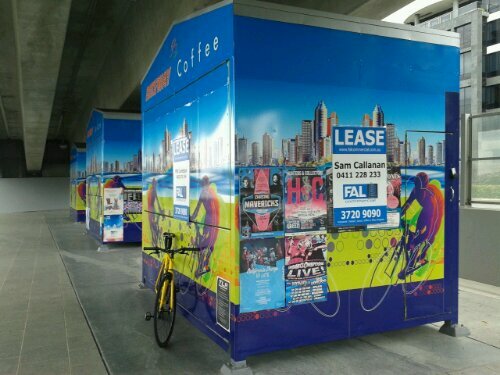 This entry was posted in Bicycles and tagged Bicentennial Bikeway, Bikeway Coffee Juice Bar, Bumblebee, Fixie, Singlespeed on 3 November 2013 by Rex.